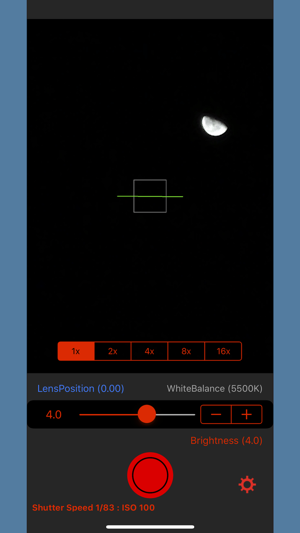 iMoonCameraPro is a camera app to shoot the moon easily. 3. Adjust lens position manually. 4. Tap the shutter button. Easy mode : Adjust exposure by brightness slider only. Manual mode : Adjust exposure by ISO & Shutter speed sliders. If the shutter speed is slow, fix iPhone on a tripod or something. Added the count down timer. 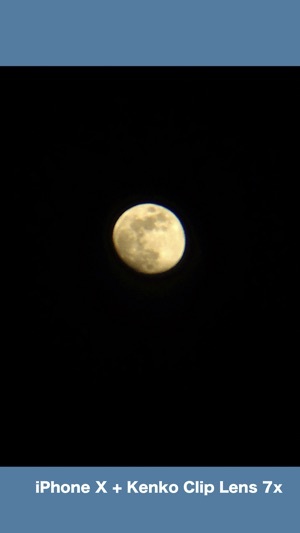 Did not think it would work, but it did an amazing job at capturing the moon. Would definitely recommend if you don’t have your dlsr on you, and still wish to capture the moment. Allows you to easily edit ISO, shutter, white balance etc. Did not even know that was possible on the iPhone. 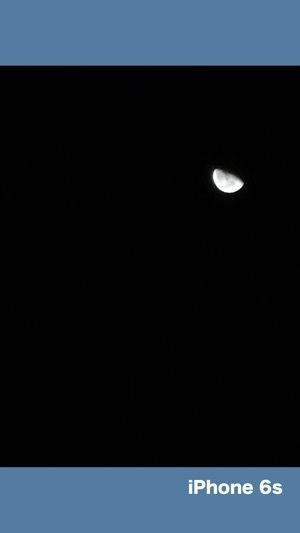 Slightly grainy, but 10x better what the default iPhone camera app would take! I purchased this app to take photos of the strawberry moon. I was surprised by how well it worked. Though the pictures came out a little grainy, that is to be expected from a phone camera. 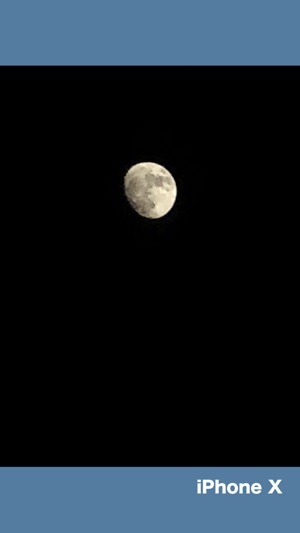 I wish it could zoom in a little more, but other than that it was definitely worth the money if you take photos of the moon a lot. 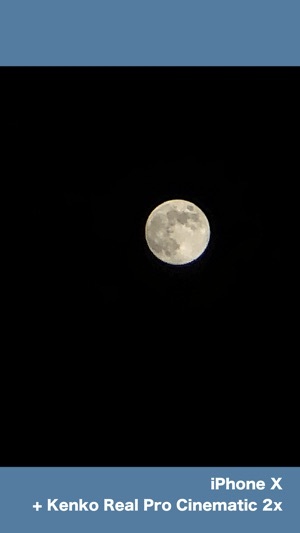 This app worked great, just remember that the app is limited to the camera’s capabilities, the camera zoom is a digital zoom, that means it might be a little grainy..... it takes better moon pictures than the regular camera can. Thank you for an accurate review. I hope other users read your review.